This week we had our Metals & Markets discussion with a former Loco London trader, Daniel March. Topics ranged from his start in March 2008 at JP Morgan to his experience in the Loco London trade in London. And the explosive growth since 2015 in Exchange for Physical (errr Paper) phenomenon on the COMEX and LBMA gold silver trade. At around the @17:40 mark, he attributes the massive growth in ESP (further Exchanges for Paper) as a direct result of 2 phenomena. The shrinking amounts of bullion desk trading counter-parties. Many are shutting down as they are purportedly making less amounts of cash than they used to, with shrinking client revenues. Fines, regulatory, and oversight costs have escalated amongst gold / silver / forex market makers with price rigging scandals and client front running accusations over the last few years. With us this week is a new guest, Mr. Daniel March, a former Loco London trader of precious metals out of London. Mr. March is now in Thailand were he is set to discuss the precious metal markets with us today. 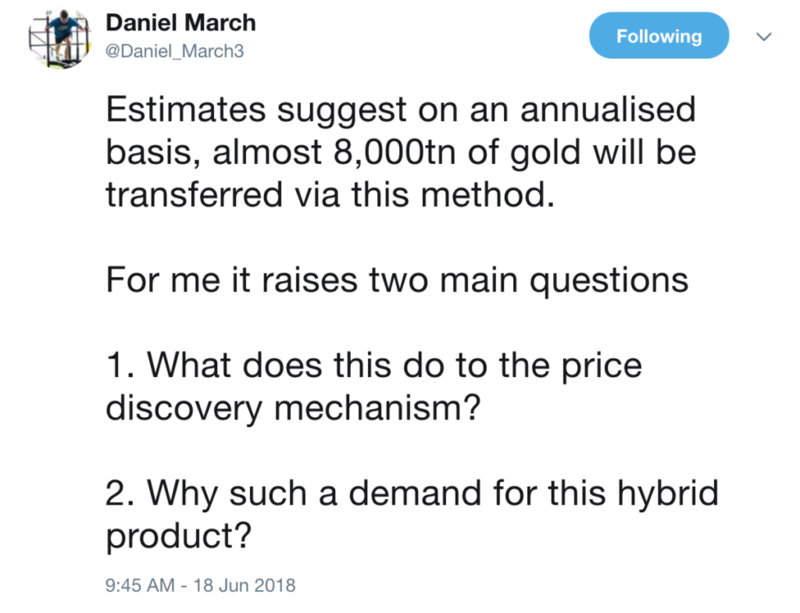 Daniel began as a precious metals analyst with JP Morgan in March 2008 after it took on Bear Sterns' failed silver position and were there for nearly 3 years time. We discuss what that was like. Then Daniel moved over to the Loco London side of the business. We ask him to explain to our listeners out there about the Loco London market. Daniel is relatively new on Twitter but he has been rather active in discussing complexities like COMEX to London EFPs.